White Call Duck Pairs are shipped as young adults and flight ready (unless you choose to have them pinioned). 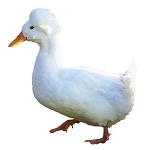 You will receive one male and one female adult white call duck. Ordering a quantity of "1" will add one male and one female to your order. 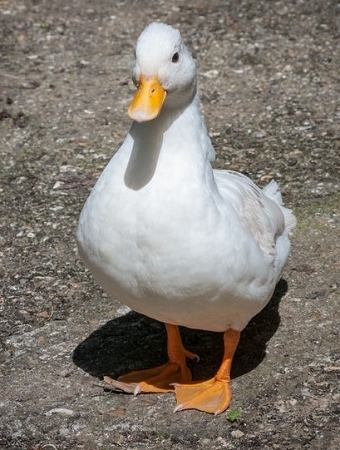 White call ducks are known as a "show quality" breed, known for their decorative nature for backyard enrichment as exhibition birds. Call ducks make excellent pond ducks, known for their calm demeanor and friendly personalities. Call ducks originate from the Netherlands and they will be well acclimated and accustomed to your backyard.